Welcome to JosefWood.com! 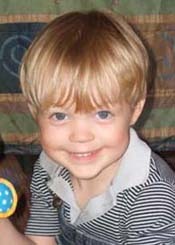 This website is named after Josef, our middle son who was diagnosed with aplastic anemia on October 1, 2007, his 4th birthday. Obviously if you are reading this that means that either you or someone you love has aplastic anemia. I don’t know about you, but when my husband and I were told of this possible diagnosis for our son, we were completely in the dark of what in the world aplastic anemia was & how it would affect our family’s future. Attempting to find information on the internet was like trying to find a needle in a haystack! Even the medical books at the hospital library had little to offer in regards to a more in depth look at what the disease was. My husband and I are the type of people who want to know everything there is to know about what is dealt to us in life. The most frustrating part was that we wanted to compare our experience to others who were dealing with this disease. Especially in the beginning, we wanted real life examples of what to expect in forms of treatment, what aplastic anemia blood counts looked like, where to go for information, how to get in touch with others diagnosed with the disease, etc. After over eight months of a rollercoaster ride struggling to figure out how to live life around AA (aplastic anemia,) my husband and I are ready to create this website. Our mission with this website is simple: make aplastic anemia better understood on as many levels as we can. We have attempted to include as much information as we thought would be important for you to know. Our goal is to make this difficult time a little easier on you. The best part is that we know how you feel because we’re living it! We are not a doctor telling you the basics of what to expect; we are real people relaying to you the type of adventure you will experience having AA. Our website is in the beginning phases and even though we have lots of ideas on what to add, we are always looking for suggestions from YOU, on what you need from us. So, whether you are visiting to read Josef’s update, get information on aplastic anemia or simply because you’re curious to know who we are, I hope you enjoy our labor of love for you…our AA family around the world. God bless.